What was the name of the very first song you wrote, how old were you, and what was that song about? I think the first song I wrote was called “Elvis Did Karate” and I wrote it around 1991 when I was in school in NYC. At the time, I was also training at a dojo, and karate and music were two of the most important things in my life. The song is about the relation between your heart and heartache. It turned out to be a really big hit for us on CMJ and opened a lot of doors for me. Where are you based out of and what is your local music scene like there? I feel lucky to have a house in the woods of New England where I can kind of retreat when I’m not working/ performing. It’s a quiet place where I can recharge and write. There’s not a huge indie scene there. But there are some really inspirational fellow musicians/ artists, and lots of opportunity to be creative. That said, my real musical base is NYC. I’ve been part of the indie music scene in New York since the 90s. My new EP “Fight for Love” features some of the all-time best musicians in the New York scene/ in the world! 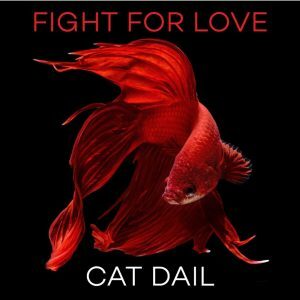 Produced & recorded by the amazing Teddy Kumpel in Brooklyn, and mastered by the one & only Greg Calbi at Sterling Sound, “Fight for Love“ is definitely a New York City situation. Is there any overall story or concept behind the album title Fight For Love? It’s always a good time to fight for love, but especially now! I’m a big believer in Love defeating fear. And all 7 songs on the album deal with that idea in one form or another. Select two songs from Fight For Love and what inspired the lyrics. The first single from the album is “Wonder Love“. It’s a song about Wonder Woman & Superman. Or maybe it’s about Everyday Superheroes! It’s a song about powerful partners empowering each other and saving the world. The first track on “Fight for Love” is called “Can’t Buy Love” about 2 people who have nothing, no money, no helping hand, unfair systems. But they find redemption, meaning & defiance in the Love they share. Who produced Fight For Love and what was it like working with them? I’m so happy and lucky to have the incredible Teddy Kumpel as my producer, bandmate, songwriting partner, and music family. Making “Fight for Love“ together was one of the best experiences of our lives! We’ve been good friends and collaborators for a long time and, working mostly as a duet, over the course of a few months, at Teddy’s Funhouse Studio, we really hit on something with these songs. Teddy is a spectacular complement to me in lots of ways – it’s a great fit. Also, TK brought in the spectacular Shawn Pelton on drums, Clark Gayton & Steven Bernstein on horns, and Andy Ezrin on keys; and it was/is an exciting combination. What could one expect from a live Cat Dail show? Have you ever played in the Los Angeles/Orange County area or plan to do so in the future? 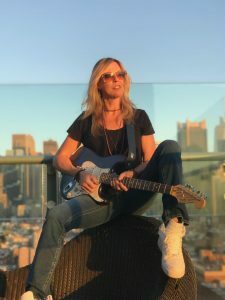 Yes, not quite a year ago, I was honored to be invited to headline the Los Angeles Indie Music Festival (West Hollywood). I’m always really happy to be part of a network of inspiring Indie communities across the country and around the world. LA is a super fertile scene and we look forward to playing up and down the left coast in December of this year. If you could open for any band either now or from the past, who would it be and why? Hmmm well I’ve been Lucky to open for some super awesome bands. I guess if I were wishing… I’d always like to be part of a line up that’s outstanding both musically and socially. Because I’m so open to playing music across many genres, we can juxtapose successfully with a lot of different kinds of bands. And I’m really interested in collaborating across borders of all kinds. So it’s a hard question for me to narrow down. I guess on one hand, who wouldn’t want to open for Beyoncé?! On the other hand, I’d be just as excited to open for Solange. I mean… Stevie Wonder! Talib Kweli! Dolly Parton, Annie Lennox, Janelle Monae! I could think about this all day LOL. What’s up next for Cat Dail? Well right this very minute, I am just arrived in Colorado, doing some radio and prep for a week of shows out this way. Will be playing Denver this Thursday September 13th, as well as Boulder, Fort Collins, Greeley, Colorado Springs, and Cheyenne Wyoming. Next month, we tour the upper Midwest: Chicago, Madison, Milwaukee, etc. Then, California in November and December. Got some cool opportunities in Europe I’m trying to figure out. We are right now working some licensing for the songs! We are about to release a new music video! You can check it all out at CatDailMusic.com or @CatDailMusic on all platforms. I don’t know about words of wisdom… I’m not really in the business of giving advice or anything. But, I AM in the business of deep groove, and I hope to inspire all the better angels to step up and Fight for Love! SEPULTURA: Dave Lombardo to Guest on New Album!